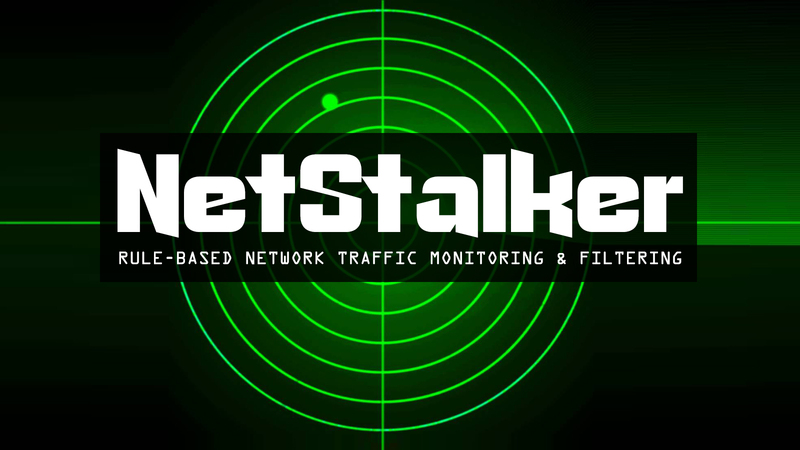 NetStalker is a free software that allows you to detect all connections on your computer, both authorized and unauthorized. It is also capable of alerting the user for every new connection. It is actually a network traffic monitoring software that provides rule-based Internet monitoring and filtering. NetStalker works on both 32-bit and 64-bit editions of Windows XP, Windows Vista, Windows 7, Windows 8 and Windows 10. Then launch the program. You will see a window as shown below. As you can see in the above image, all the processes are displayed under the activity tab. This is because the program is designed to automatically scan and monitor all services and processes running on a PC as soon as you launch it. If the NetStalker detect any process that is trying to access the internet, a window will pop up so you will be able to quit the process and destroy it, or to allow the process to access the internet (default setting). 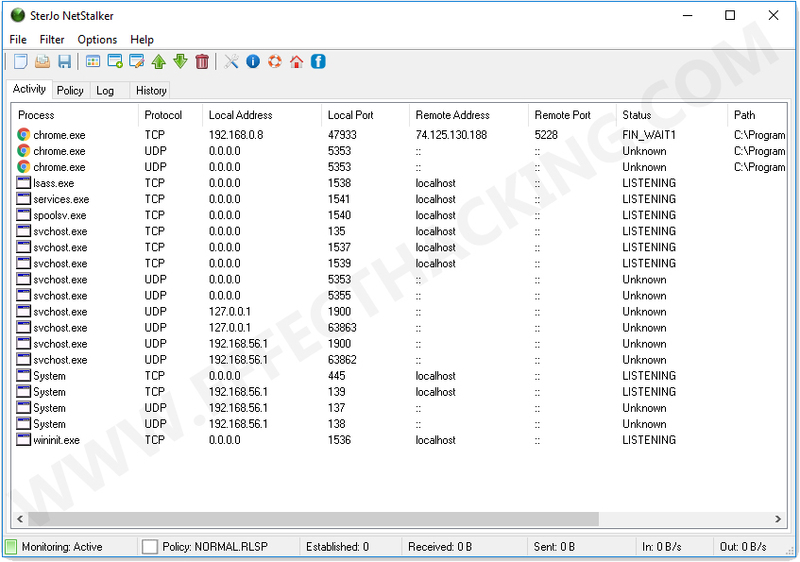 This monitoring software allows you to create network rules. To define the rules, go to the Policy tab. To add new rules, use the "Add a New Rule" option (press Ctrl+A or right-click and select "Add a New Rule"). You will get some pre-configured policies in order to help you get started. They can also be modified later. To access those pre-configured policies, go to File > Open > Policy file.... Then select any one of the .rlsp files, then click on "Open". NetStalker also allows you to change modes of the application, you can allow, filter or block the traffic.